Eric Zorn, Chicago Tribune columnist, will moderate. 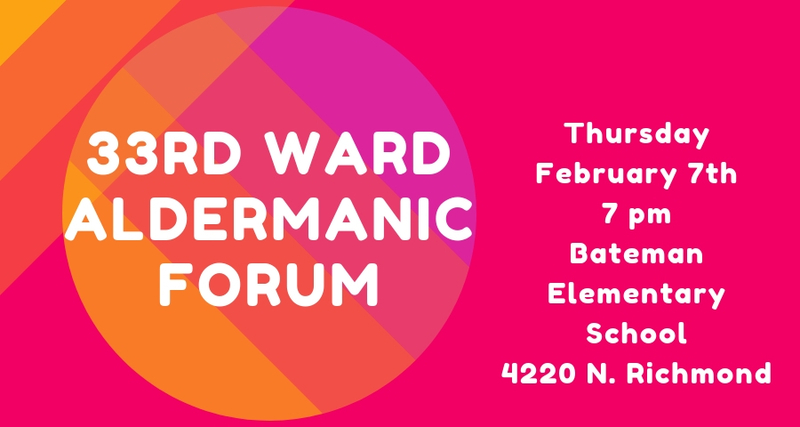 The forum will be held in the auditorium of Bateman Elementary School, 4220 N. Richmond. Please enter the school through the Sacramento entrance. Please enter the school through the Sacramento entrance. The Aldermanic election will take place on February 26, 2019.